The Japanese Interscholastic Athletic Meeting was held in the city of Gifu where eight champions have been crowned. 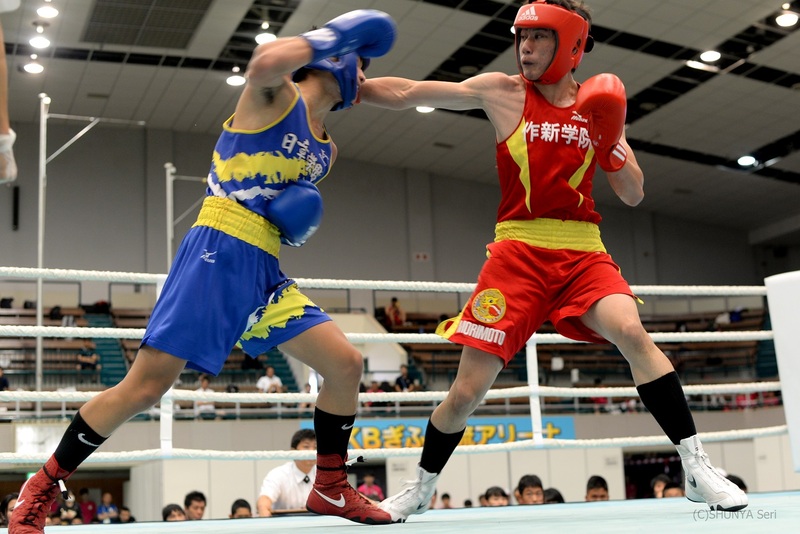 Japan’s defending ASBC Asian Junior Champion Reito Tsutsumi was one of the youngest competitors in the Interscholastic Athletic Meeting but he defeated all of his rivals at the lightweight (60kg). The venue of the Interscholastic Athletic Meeting was the Shimpo Arena in Gifu. High school boxers are attended which means mainly youth athletes shined in the Japanese Interscholastic Athletic Meeting but a few juniors were able to make surprises. The Sakushin Gakuen High School from the Tochigi Prefecture won the team rankings in the Japanese Interscholastic Athletic Meeting. The first gold medal of the Interscholastic Athletic Meeting was delivered by Kazuma Aratake who defeated Takuma Hirano in the final of the pinweight (46kg) which was the first surprise of the competition. Hirano claimed the gold medal in the Japanese National High School Selection Tournament this March therefore his silver was an unexpected result. Ryu Horikawa was bronze medallist in the Japanese National High School Selection Tournament in March but he changed that podium place into a top one in Gifu. 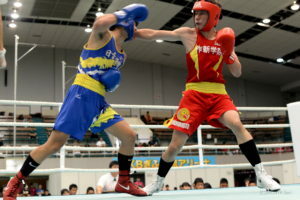 The 17-year-old light flyweight (49kg) boxer defeated Tokimitsu Fujita in the final while Kosuke Takami and Ryusa Hosaka achieved bronze medals. Arashi Kajiwara arrived from a boxing family, his elder brother Musashi competed in the high school level in 2017. He defeated Ryujin Fukutami in the final of the flyweight (52kg) while Puerto Princesa 2017 ASBC Asian Confederation Junior Boxing Championships silver medallist 16-year-old Toshiya Yano lost his semi-final by split decision and took only bronze medal in Gifu. Ryozo Yoshida did not claim any medals in the Japanese National High School Selection Tournament in March but this time he won the gold medal of the bantamweight (56kg) after beating Shi Nemoto in the final. Reito Tsutsumi claimed gold medal in the Puerto Princesa 2017 ASBC Asian Confederation Junior Boxing Championships and the 16-year-old boxer won the lightweight (60kg) after beating Shinjiya Ishii in the final. His elder brother Bangkok 2018 ASBC Asian Confederation Youth Boxing Championships bronze medallist Ryunosuke Tsutsumi achieved only bronze in Gifu. The gold medal of the light welterweight (64kg) was taken by Yura Kenzami who impressed in the final against Hiroshi Morimoto. Sho Patrick Usami, who has got Canadian roots, claimed bronze medal in the Budapest 2018 AIBA Youth World Boxing Championships and secured his next national title against Shojiro Kuroda in the final of the welterweight (69kg). Daigo Sunaga impressed in the Bangkok 2018 ASBC Asian Confederation Youth Boxing Championships and also in the Budapest 2018 AIBA Youth World Boxing Championships and he could be Japan’s good solution for the middleweight (75kg) in the future. The 18-year-old boxer started slowly against Kouki Nogami but he dominated the second part of their final fight in Gifu.